Russell Crowe physically removed rapper Azealia Banks from his Beverly Hills party after she allegedly threatened to cut his guests and make them bleed. The Gladiator actor reportedly stayed calm as the rapper lashed out at the ‘boring white men’ at the party, but her threats were the last straw and he called security to remove her from the hotel. Despite numerous witness statements giving this version of events, Azealia accused Crowe of choking her, spitting on her, and calling her the n-word. 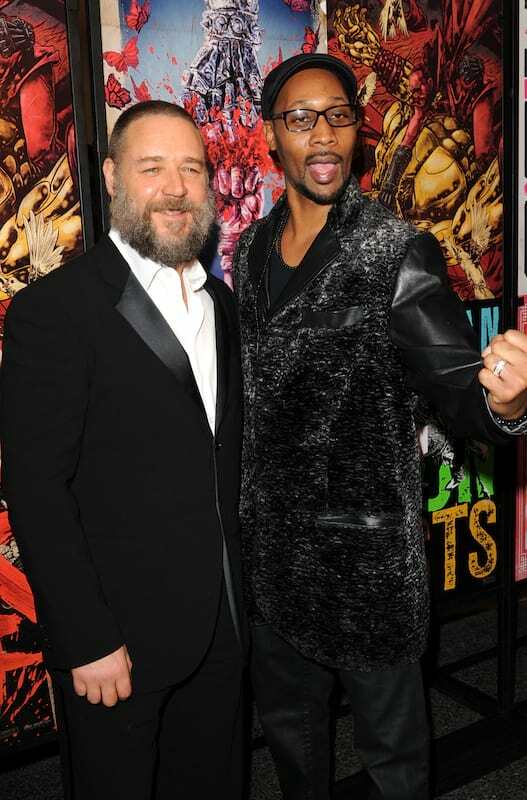 Azealia was a plus-one of Wu Tang Clan leader RZA who starred in The Man with the Iron Fists alongside Russell Crowe. You would love it if I broke my glass, stabbed you guys in the throat, and blood would squirt everywhere like some real Tarantino s***. After Azealia reached for her glass, Russell picked her up ‘in a bear hug’ and called for hotel security guards to remove her from the grounds. Even RZA says that it was Azealia who use the n-word and not Russell, and four witnesses described her behaviour as ‘erratic’.